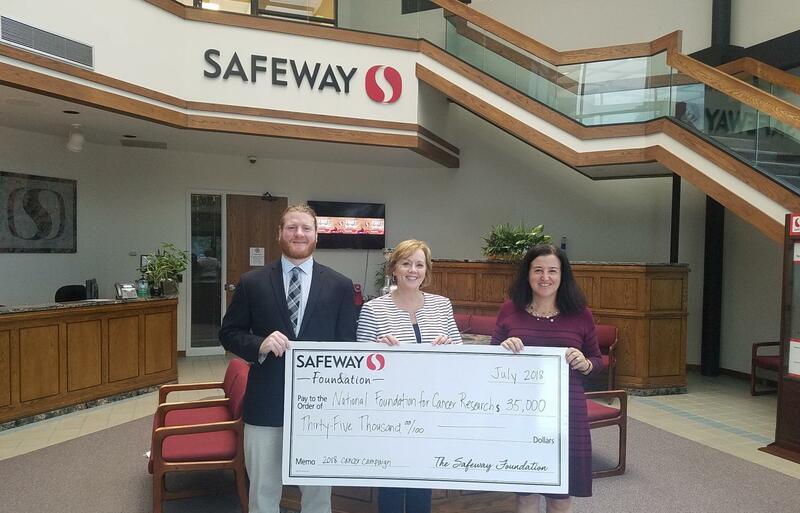 ROCKVILLE, MD – The National Foundation for Cancer Research (NFCR) is one of 13 local and regional organizations to be the recipient of a grant by Safeway Foundation supporting cancer research and treatment efforts. The $35,000 award will be directed toward the expansion of the Cancer Patient Navigation Hotline, a communications resource offering guidance by trained oncology nurses–"navigators"–to patients and their families at no cost. This represents the National Foundation for Cancer Research's second such grant. A 2017 Safeway Foundation award was recently designated to NFCR Fellow Paul B. Fisher, M.Ph., Ph.D., at the Virginia Commonwealth University School of Medicine. The funds from it have been used to help sustain Dr. Fisher's research on enhancing a promising immunotherapy being developed for metastatic prostate and other cancers. His and his laboratory's cutting edge technology has been shown to produce profound anti-cancer activity in slowing or halting metastatic–spreading–cancer, which is responsible for 90% of the lives lost to the disease.